Myriad wonderful characters populate the pages of Anne Mustoe's fascinating book as she pedals along three very different, but equally evocative, roads - the Amber Route from the Baltic to the Adriatic, the Santa Fe Trail from the Missouri River to New Mexico and the Pilgrims' Way of St James from Le Puy to Santiago de Compostela. Battling against ferocious winds in Jutland, blizzards in the Rockies, traffic jams of cyclists along the Danube and menus in Czech, Hungarian and Basque, Mustoe survives with her usual fortitude and wry humour, even when she is knocked off her bike by a short-sighted nonagenarian in a Fiat Panda. 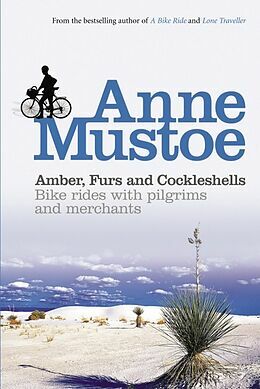 Anne Mustoe read Classics at Cambridge and was the headmistress of a girls' school in Suffolk until 1987, when she left her job and embarked on her first solo journey around the world by bicycle. She is an established travel writer with a substantial following who lectures regularly on her adventures.